President Muhammadu Buhari has expressed confidence in the ability of Nigeria to surmount her economic challenges given the abundant human and material resources bestowed on the country by God. Speaking at an audience with the president of the African development bank Dr Akinwumi Adesina, the president was emphatic that the nation will bounce back for a greater future. In another development the federal government has been lauded for taking critical steps towards addressing the economic challenges facing the nation with the advice for it to further widen its diversification Programmes to other sectors. This was when vice President Yemi Osinbajo receives a Delegation of the African Development Bank. The vice president of India Mr. Mohammad Hamid Ansari has arrived Nigeria this afternoon for a three day official visit. He was received on arrival by the Vice President Yemi Osinbajo and his wife. While in Nigeria, the two leaders will hold bilateral talks covering relations between both countries. The Visiting Indian Vice President will also pay a courtesy call to the President of the Federal Republic of Nigeria President Muhammadu Buhari. He will also deliver a lecture at the National Defence College in Abuja before visiting Lagos state where he will also deliver a lecture at the University of Lagos. As critical feature in governance and its impact on the citizenry, the annual budget brings together the Executive and Legislative Arms of Government. In view of this, the maiden Collegium on the Democratic Project have held, with focus on how to reform the budgeting process and making it a veritable tool for an efficient retainship. The house of representatives committee on Ethics and Privileges has rounded off its investigative hearing on the alleged breach of Members rights by Representative Abdulmumin Jibrin. The committee’s report is expected to be presented to the house at plenary, the representative Abdulmumin did not appear before the committee. The count down to the Edo governorship election has begun. Nineteen standard bearers and their deputies from Nineteen Political Parties that fielded candidates to control the heart of Edo state would slug it out on Wednesday the 28th of September, 2016. The Independent National Electoral Commission INEC says it is committed to ensure a conducive exercise. Inspector General of Police, Ibrahim Idris has ordered the Activation of the revised operation plan for the Edo State Governorship election slated for Wednesday, 28th September, 2016. A statement by the Force Public Relations Officer DCP Don Awunah says the IGP assured the people of Edo State that the revised election security operation plan will guarantee free fair and credible election, enable eligible voters exercise their franchise freely, and maintain peace after the election. He said twenty five thousand conventional police officers will be deployed and will work with officers of other Security Agencies to ensure a robust security template for the election. While advising the people of Edo state to be law abiding, he warned them to refrain from any action that will jeopardize the existing peace and security in the state. The IGP also directed the commissioner of police in Edo state to enforce the restriction of vehicular movement from 12 midnight Tuesday, 27th September, 2016 to 6pm 28th September, 2016 except those involved in essential duties that must be properly identified. The Defence Headquarters has reacted to the recent propaganda video of the boko haram terrorists claiming that its factional leader Abubakar Shekau is alive and well. Acting Director Defence Information Brigadier General Rabe Abubakar in a statement urged Nigerians to disregard the video as it is not worth any attention. He maintained that the Armed Forces has always been made clear that whether Shekau is alive or not is irrelevant as the Armed Forces is focused on consolidating the unprecedented gains and successes recorded to terminate the Remnant of the Sect in order to free completely the north east from their unholy activities and senseless Propaganda of the deranged sect. He said the propaganda video is a result of the coordinated operation of the armed forces which is hitting them hard hence their resort to the social media where lies are concocted to paint a picture that does not exist. Meanwhile Troops of the Nigerian Army have repelled an attack by some suspected remnants of Boko Haram fighters Attacked at Logomani along Dikwa-Gambarou Road, Borno state. troops fought gallantly and repelled the attack which lasted for about one hour. At the end of the fierce encounter, 22 boko haram fighters were killed while 4 soldiers died 2 other soldiers were wounded in action and were immediately evacuated for further medical management. The troops recovered arms from the insurgents. In a related development, troops of Operation Lafiya Dole on Administration Patrol from Maiduguri encountered an improvised explosive device and ambush between Miyanti and Dareljamal, Borno State. The ambush was cleared and 3 boko haram terrorists were killed by the troops. They also recovered arms and ammunition. Financial analysts call for proper and coordinated synergy between the fiscal and monetary policies to review current interest rate and achieve the desired economic growth. 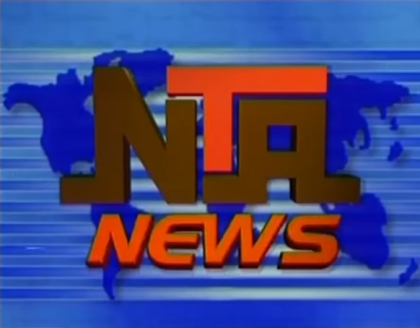 This was the unanimous view of guests on NTA’s programme good morning Nigeria as they seek to find solution to the current high lending rate. The Nigeria Labour congress has inaugurated a ten-member committee to engage the government on the way forward to end the current economic challenges in the Country, the committee Comprises Professionals and the Academia. Minster of science and technology Dr. Ogbonnaya Onu has described Welding Engineering as critical and an integral part of science & technology and innovation required in the manufacturing and construction sectors. This was at a Meeting with Leaders of Nigerian Institute of Welding who called on him for support in their Mission to introduce Welding Engineering in Nigeria’s Universities and Polytechnics Dr. Onu emphases that Nigeria needs to grow the capacity of welders to enable them to have the capability to engage in high tech welding practice. President of Nigeria Institute of Welding, Dr.Solomon Edebiri told the minister that the institute is not relenting in its efforts towards enhancing the profession in Nigeria. The Nigeria Institute of Welding which was established in 1980 is affiliated to international welding Organization. Minister of the Federal Capital Territory Muhammad Musa Bello says priority attention will be given to the Education Sector this year. He made the remark while receiving winners of various international and national competitions in Abuja. Among them were the students of Government Girls Secondary School Abaji who won the 2016 world cup of the student advancement in global Entrepreneurship, sage. Others were GSS Wuse, winners of the NNPC National Science Competition and Winners of the Senior Category of the National Science Teachers’ Competition. JSS Pasali and LEA Primary School Jabi who won the junior and primary categories of the competition were also present. While applauding their outstanding performances, FCT minister explained plans by the administration to improve Educational Infrastructure in the Territory’s Public Schools. Executive and Legislative Arms of Government.